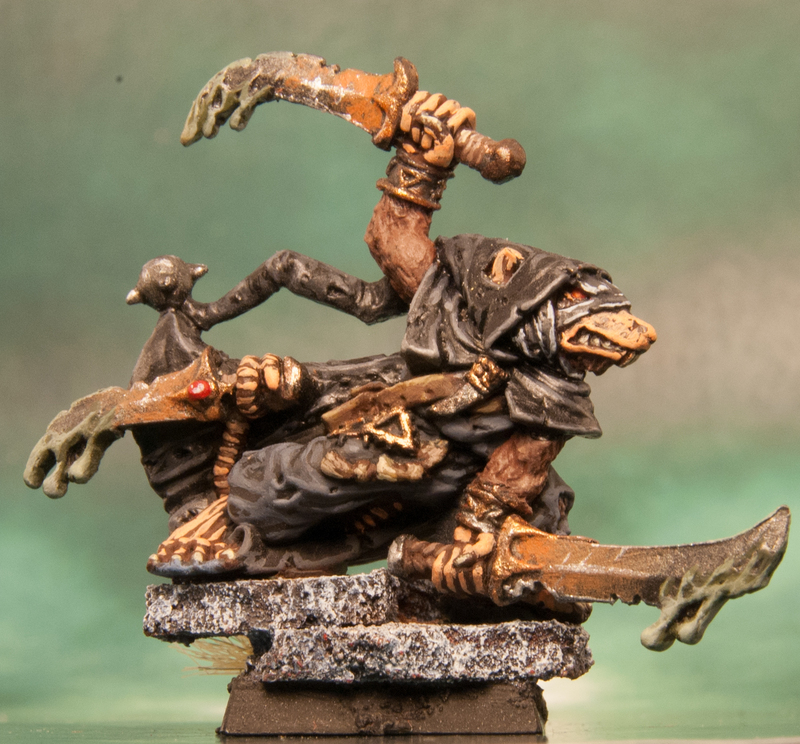 This is the second skaven character I paint for my army and one of my favourite figures of fourth edition. 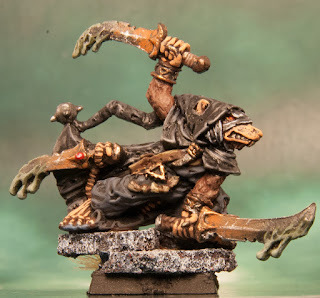 The first one was Lord Skrolk. To be honest, I am not entirely satisfied with the final result on the cloak highlighting but I was a bit fed up with it so I stopped. I might tackle it again in the near future. Highlighting black is always a bit painful. These pictures were taken before I applied gloss varnish to the poison on the weapons. 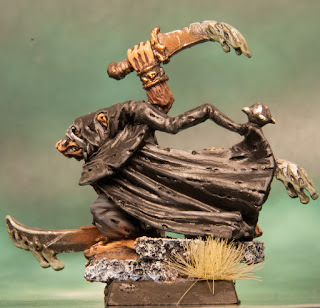 The back of the cloak looks too shiny in this pic.